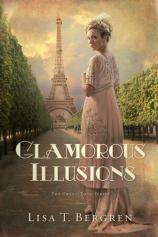 Lisa T. Bergren’s latest novel, GLAMOROUS ILLUSIONS, tells the story of Cora Kensington, whose life is permanently altered when she finds out that she, is the illegitimate daughter of a copper king. In this interview, conducted by Bookreporter.com’s Melanie Smith, Bergren discusses her and her family’s passion for travel. She also touches on some of the book’s quirks, talks about her research process, and gives a glimpse into what the rest of the series will bring. Bookreporter.com: What drew you to write a travel-based historical series? Was any of your inspiration based on your own travel interests? 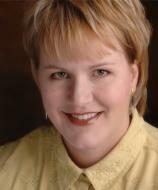 Lisa T. Bergren: We've always had a passion to show our kids as much of our world as possible. Our goal is for them to grow up with a solid understanding about how big and diverse our world really is --- and how amazingly connected we all are --- as well as begin to give them a taste of serious history, art and culture. We've taken them on trips to England, France and Italy, and to the Caribbean. We'd love to get them to the Middle East and Africa and the Far East at some point too, but that will take some more time to save the funds! We love experiencing a foreign country together as a family and we post about it on occasion on our travel blog, www.theworldiscalling.com. So yes, that passion definitely fed into my desire to write this series. BRC: Does your choice of timeline for the Grand Tour (beginning in the year 1913) have anything to do with the onset of World War I the following year? LTB: Yes. I really think of it as the end of an age of idyllic innocence for Western people. So much became darker and more difficult in the following years, and really never recovered. Ever since, we've been saddled with war and conflict. There has always been war and conflict, of course, but from WWI onward, it was different --- global. I imagine that in 1913, for the wealthy especially, that life must've seemed like one huge, delicious oyster. In 1914 and following, I imagine them recognizing that they were as fallible and vulnerable as anyone else. The age of "we can do anything" became "what can we do now?" There was still lots of potential and hope, I think. It was simply mitigated by experience and reality. BRC: Likewise, the inclusion of The Olympic in the story (the sister ocean liner to the Titanic that ferried trapped Americans from war-torn Europe across the Atlantic) was also within the same time frame. What attracted you to include this detail? LTB: I toured the Titanic museum in Branson, MO, and it really made me think about the opulence, as well as the vulnerability, for those passengers. It simply was a timely, perfect, historical detail, since that's how tourists traveled to Europe and back. BRC: Much of GLAMOROUS ILLUSIONS centers on the hidden allure and challenges for those who enjoy a life of supreme social standing and financial privilege. Would you say your choice of heroines represents a role reversal for the classic leading lady? Is Cora meant to be a feminist? Minimalist? Anti-capitalist? LTB: I think the fascinating part of Cora is that she truly is a self-realized woman for the day. Until her life is turned upside-down, she has a firm grasp of who she is and where she's headed --- she's going to get through school, hard as it is, and help her beloved parents as much as possible. So at its core, the series is as much about re-discovering who she really is, what she believes, and what remains true, regardless of circumstance --- and that's a hard process when you come from a hard-scrabble farm and are suddenly thrust into a world of excess. With all that fabulous internal and external conflict, Cora is bound to speak up; I don't see that as a feminist or anti-capitalist, but more as a woman of God speaking up for her "people" --- those far less fortunate --- among her new people, her family, most of whom have no idea what she's talking about. Of course, the story is all wrapped up in gorgeous dresses, drool-worthy balls in exotic locations, and lots of romance...but that's just the top layer. BRC: Could you estimate the approximate cost of joining the Grand Tour in today’s U.S. dollars? BRC: Did maidens of that era typically join the Tour just to wed? LTB: It was a huge opportunity for wealthy daughters. Many found a charming European bachelor with an amazing, ancestral home and title; and the bachelor found a bride with funds to fill empty coffers to run those behemoth old estates. I saw a fascinating "behind the scenes" show about the foundational history for "Downton Abbey." That was one aspect --- and a reason why the wife and mother is portrayed as an American of means. Americans were hungry for recognition (therefore, the draw to the title and home); Europeans were desperate for funds. Marriages were inevitable. But a formal "Grand Tour" was biggest in the 16th-18th centuries, among the English who sent their children off to see "the Continent." In this series, I've just re-imagined it for a new era, among the nouveau riche struggling to emulate what the wealthy did before them. BRC: The value and danger of exploring the world and oneself are central themes here. Do you feel young people today should broaden their horizons more by seeking varied experiences and connections before deciding on a permanent future or mate? LTB: Not necessarily. I think Cora could've chosen a mate in Montana while she was in teacher college and had a very long, satisfied marriage. But I believe it's key that people get to who they are at their core --- what makes them who they are, what is most important, what things do they most value --- because regardless of who we find as a life partner, if we don't have those things straight, we tend to flounder. And once we do figure it out, we tend to walk a steadier course, come what may. Travel is a lovely vehicle to get there. But I think a farmer in the center of Kansas can do it too, if he gives it the time and energy it's worth. BRC: How does Cora’s unique situation relate to the lives of ordinary women today? LTB: We're all on a journey of self-discovery, whether we recognize it or not. Few of us will find ourselves swept up into the lavish, dramatic circumstances that Cora does, but most of us will be tested through trial and triumph in life. And inevitably, they will bring us to the same place of figuring out who we really are, what we believe, and why, then living it out. At least I hope we do...that's what makes life more deep and meaningful. BRC: Your book is set roughly during the same period as “Downton Abbey.” Have you watched this PBS series? If so, what do you think about it? And can your picture your characters meeting up with the Crowleys? LTB: I'm a hard-core fan. My whole family loves it. And yes, my characters would've definitely been at one of the Crowleys' parties. BRC: How have your own spiritual perspectives contributed to your career? What are the principal spiritual messages you meant to convey in GLAMOROUS ILLUSIONS? LTB: Well, I've built a career as a "Christian author," but as many have said before me, I see myself as a storyteller first and foremost; faith is inevitably a vital aspect, because I can't imagine a well-told story without it. I've written all sorts of characters in different places in terms of what they believe --- be they agnostic or faithful believers. To me, spirituality is a part of who anyone is --- whether they recognize it or not--and has to be an aspect of characterization. If you're going to write an internal story arc, how can you avoid that aspect of a character's make-up? That said, I strive to never get up on a soap-box and preach. The story has to be organic and true. So sometimes my spiritual themes are extremely subtle, and sometimes they're overt --- just like how faith is for those of us who live it. What I want Cora to learn, by the end of book three, is that she is a loved, treasured, empowered daughter of God, and nothing else beyond that really matters. With that knowledge as her foundation, she is free to be who God created her to be, and make the most of her circumstances in which he has set her. BRC: What are your plans for writing the rest of the series? Can we expect to see the same cast, and will Cora meet new love interests? How about well-known historical figures or sites in future installments? LTB: They travel through southern France, then up to Switzerland and Austria, then over and into Italy, stopping in towns many of us have always heard about --- Lyon, Geneva, and Vienna --- as well as some we haven't. All of book three is in Italy, because the Tourists of old spent a great deal of time there. (It doesn't hurt that I love it too!) Cora has enough to deal with, in juggling two love interests, when she's rather bent on returning home, to resume the life she once knew. But what she's discovering is that she's changed too much to really go "home" again. She needs to figure out where her new home is, and what that means. It'll be fun to see just how she does that and where she end up.